An enormous decade-long project to regenerate south-west London could be about to be scrapped by the US Congress. UPDATED: US Embassy insists the project will go ahead. UPDATED 7.24pm GMT: The US Embassy insists that the project will still go ahead, using funds from the sale of existing properties. The new budget deal prohibits additional funding being provided for the project. But the US Embassy in London insists that it will still be able to cover the cost of its new building through the sale of existing property in the British capital. The US spent a decade searching for a site for its new £600m embassy in London. But now – with construction underway – Congress is about to pull funding for the project, according to a detail contained in the latest bipartisan budget deal. The enormous glass cube is currently being built on the south side of the Thames in central London. It was seen as key to spurring the redevelopment of the Nine Elms area of the capital and led to talk of a new "embassy quarter", with the Netherlands and China also considering plans to move their diplomatic missions to the same area. But any changes to the project will damage these plans and could also affect the extension of a London Underground line. A bipartisan spending deal unveiled today and likely to be passed by Congress, bans "appropriations for a new London embassy" in order to "promote good government and rein in unnecessary spending by prohibiting or eliminating funding for a variety of projects and activities". The US committed to the Nine Elms site in 2007 and unveiled the design for its embassy in 2010. At the time ambassador Louis Susman said the existing site in Mayfair had "become overcrowded, does not meet modern office needs and required security standards – and, after 50 years, is showing signs of wear and tear". The decision could also affect Boris Johnson's plan to extend the London Underground to Battersea. 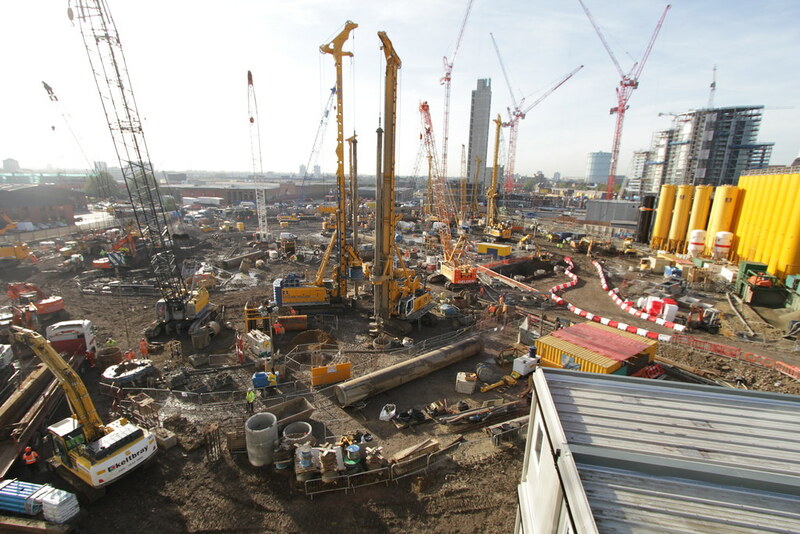 When the US committed to the Nine Elms site it helped spur regeneration and the creation of a new enterprise zone that will service £750m of debt associated with Boris Johnson's flagship plan to extend the Northern Line to the area. Transport for London documents state that the the "first major contributor" to the enterprise zone "is expected to be the US Embassy". If the plug were plugged at this stage then it would be problematic since construction is already underway. The US has already spent £600,000 on a granite sculpture for the new embassy. Instead, it may need to deal with the Duke of Westminster, who owns the freehold to the country's existing Mayfair embassy. Reports have previously suggested that the last time the US approached the peer to buy the land outright, he refused unless the US return land taken from his ancestors during the War of Independence.